I started journaling in grade school, and I’ve done it ever since. I enjoy writing down life’s moments, both big and small, that I always want to remember. By deciding on what to write, I’m able to reflect on my life, my thoughts, and my feelings. It’s both therapeutic and satisfying. My husband has never journaled so he has never gotten to experience the joys or the benefits from it. This Valentine’s Day that’s going to change! I’ve gotten us a Couple’s Gratitude Journal, where each week we both write about how much we appreciate the other person. I know we appreciate each other, but this is a chance for us to do a better of expressing it regularly. Taste. Touch. Sight. Smell. Sound. 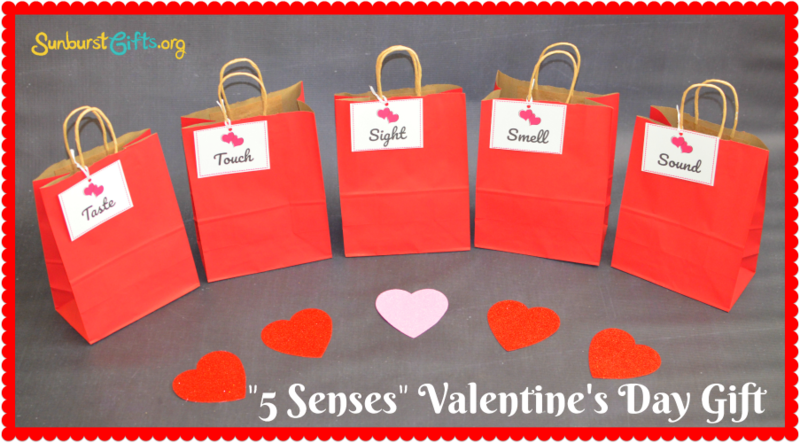 Show your love in every sense of the word with the “5 Senses” romantic Valentine’s Day gift. 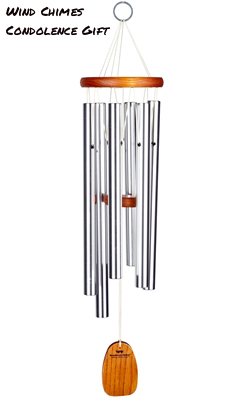 When you give your sweetheart 5 gifts that satisfy the 5 senses, you add an entirely new dimension to your Valentine’s Day gift. Time to turn up the heat! I’ve known my friend, Sherry, for years and have had the privilege of meeting her parents on many occasions. 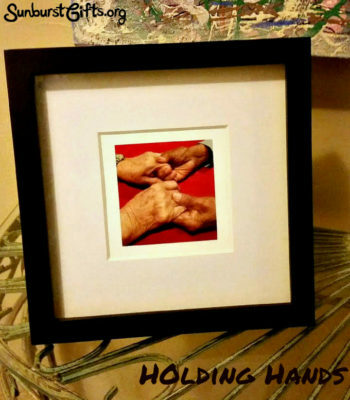 When I recently attended a reception honoring their daughter’s achievement, I noticed they were holding hands across the table. I asked if I could take a picture of them holding hands. Her parents smiled and agreed. I thought it was so precious and wanted to capture the sweet, tender embrace for Sherry. 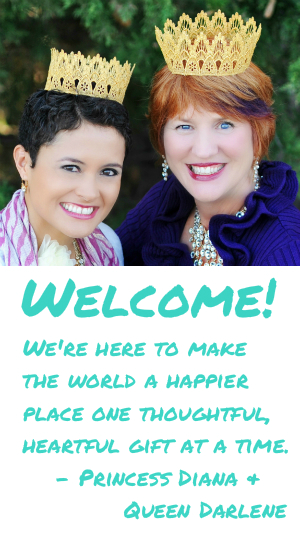 Have you ever wondered what the secret is to a long, happy marriage? I am completely serious when I tell you I’ve found it. I learned it in the book, The 5 Love Languages: The Secret to Love That Lasts, the #1 New York Times bestselling book by Dr. Gary D. Chapman. Communication doesn’t break down because men are from Mars and women are from Venus. It’s because we often speak different love languages than our spouse. 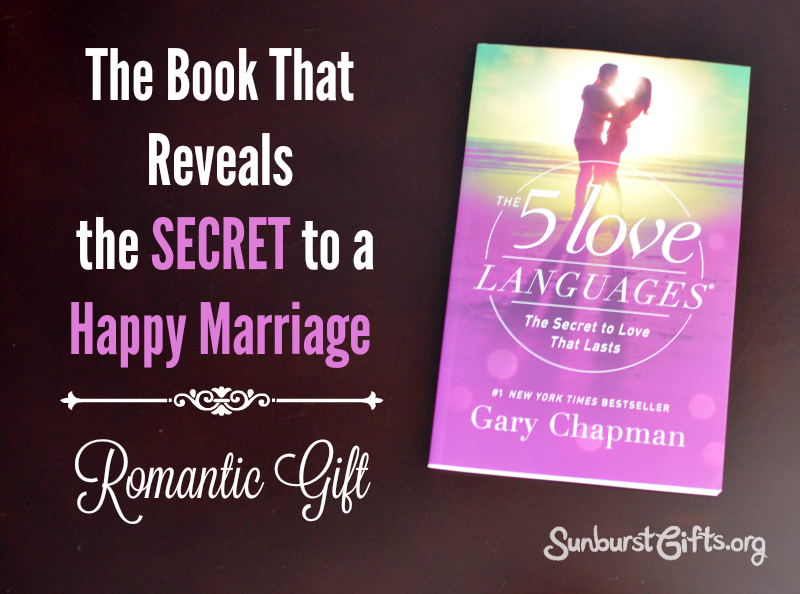 In the book, Dr. Chapman explains the 5 Love Languages using wonderful stories and examples from real couples he has helped through marriage counseling. He says it’s the secret to keeping love alive. Reading this book helped understand what makes me feel loved and what makes my husband feel loved. Don’t know what to say or do when friends and family are going through long serious illnesses, injury, or loss of loved ones? Wrap them in hugs, love and healing wishes by sending a BlankieGram. 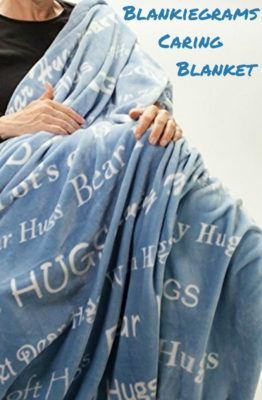 BlankieGrams are soft cozy blankets printed with loving and supportive words to describe how much you care and that you are thinking of them. 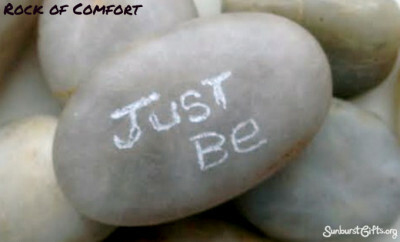 Words like hugs, bear hugs, strength, lots of hugs, healing wishes, good thoughts and positive attitude. I love the idea of wrapping them up in a warm blanket, like a hug, especially if you cannot be there. I experienced this first-hand as our sister-in-law made a blanket for my brother during his lengthy stay in the hospital. It featured his favorite basketball team logo – the Oklahoma City Thunder! It’s fun to have our own special silverware to use for eating cereal, ice cream or dessert. The mundane task of grabbing silverware out of the drawer gets a little bit more exciting as you search for your special spoon or fork. Last Mother’s Day gift, I gave my mother and mother in-law custom hand stamped silverware with the message: A mother’s love is beyond measure. Every time they use the spoon to eat with or to stir their cup of tea of coffee, I hope they’ll think of me and know how grateful I am for their love and kindness. You can make your message sentimental like mine or pick something funny like Cereal Killer for a breakfast spoon. 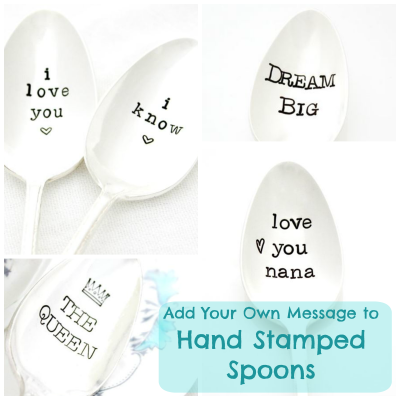 For a wedding or anniversary present, you can give the gift of His and Her spoons with corresponding messages like: I love you and I love you more or Good morning handsome and Good morning beautiful. We feel loved when we are comforted. That’s been almost four years ago and I still feel the comfort of my mother’s memories when I open my coin purse. When my co-worker’s mother passed away, I wanted him to hold something that would give him the same comfort I felt with my coin purse. Looking to surprise your Valentine several days in a row? Try the Love is the Best Medicine seven-day pill box. 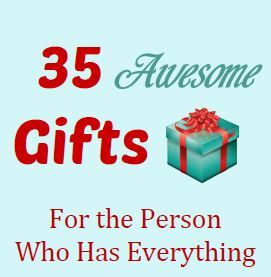 This small gift allows you to express your love in a big way for an entire week! To assemble, fill each section of the pill box with small candy and a folded love message. Hand write or print your seven love messages on long slips of paper so they can easily be folded to fit into the container. Leave the pill box out in the open for them to find, or surprise them by slipping it into their purse, work bag, suitcase, etc. When someone you love passes away, it’s like a piece of your heart has been taken. We’ve all experienced it, and appreciate those who want to ease our pain. 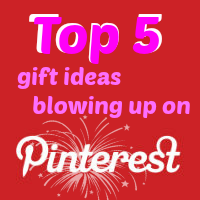 Sympathy cards are usually the number one item sent. Thank goodness for Hallmark and other companies that make cards that eloquently express how we feel. 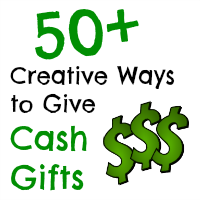 But for those times when you want to do more than send cards or flowers, what can you do? My mother’s cousin passed away not too long ago. Bob was our favorite cousin hands down or should I say hands up because he was one of the few who knew sign language and could converse with my mother. I read a book in which the author recommended the book called Love You Forever by Robert Munsch. 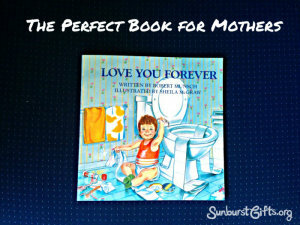 The book “Love You Forever” makes a wonderful Mother’s Day gift. When I read it for the first time, it made my cry three times. Each time I started to cry I put down the book to catch my breath only to continue crying once I started reading again. Let me mention, the book ONLY has 14 short pages of text!! This timeless story of a mother’s constant and enduring love for her child puts into words the emotions that mothers feel. 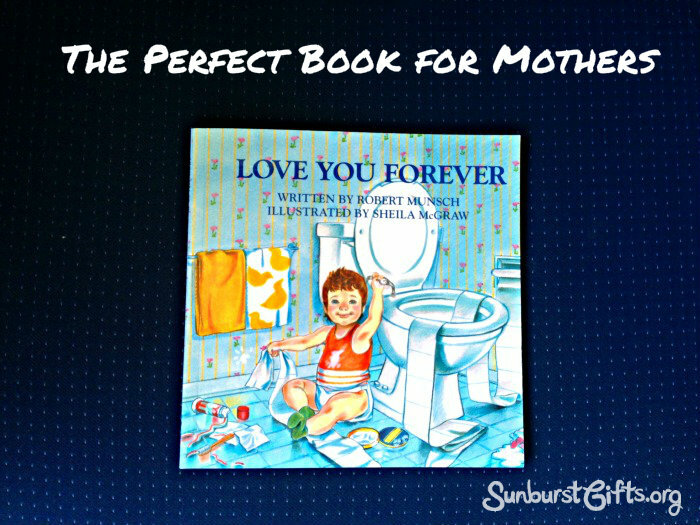 I say it’s the perfect book for mothers because if I had read “Love You Forever” before I became a mother, I know I would not have reacted to it the same way.